I love accessorizing but I rarely love giving jewelry as gifts unless I happen to find something sooo awesome I must share it. I have always wanted to give my bridesmaids gifts they would love and use often, so what better gift to give than wellies since we live in the rainy city of Seattle! I decided to go with Hunters, the original wellies because of their classic look, practicality and they come in all the colors of the rainbow plus some. Each girl got a different color that matched their personalities and I couldn’t have picked anything better because on our wedding day it POURED! Guess I made the right decision! For all you brides out there trying to figure out what to get your girls, try thinking outside the box. Besides, how many pearl sets do bridesmaids need? 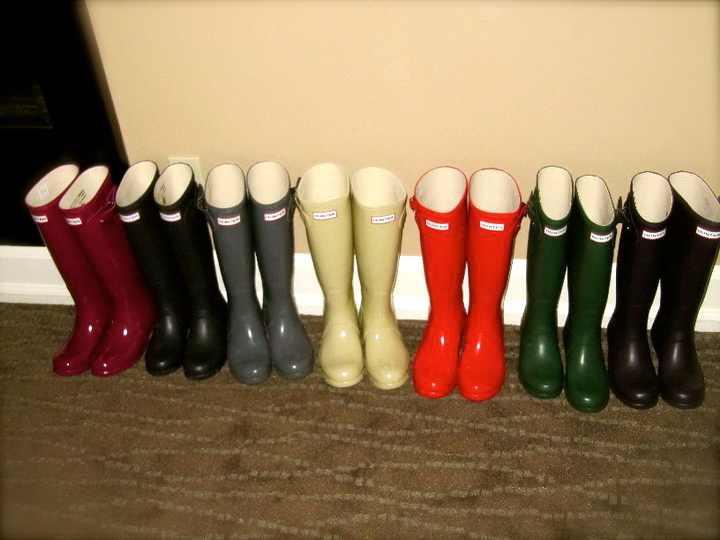 I think one’s enough, but wellies? I’d love to collect them all! !